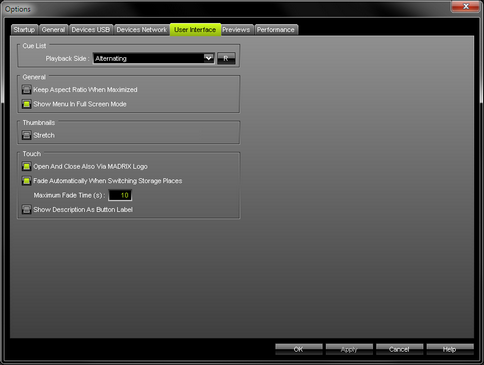 ▪ Set up user interface options as explained below. 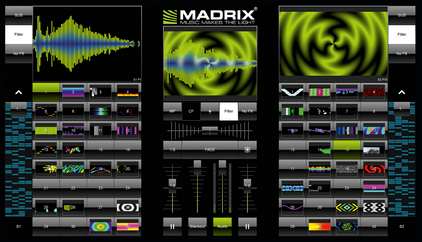 You can choose how MADRIX manages the user interface when playing back the Cue List. ▪ Keep Aspect Ratio When Maximized - Keeps the original aspect ratio of the user interface if you maximize the window of MADRIX. That means when maximized, the window will be scaled according to the original dimensions. MADRIX provides thumbnails to preview Storage Places and their included visuals on the main user interface »Storage Places [256 x 256] as well as on the touchscreen interface »Touch Screen. Since these buttons are usually square-like, it depends on the aspect ratio of your virtual matrix how much button space is used. When using a very rectangular matrix, the thumbnail is often shown very wide, but not very high. You can change that and activate the option to stretch the thumbnails to the full button size. Please note: According to the way thumbnails are generated, your thumbnails need to be up to date before the stretch option is applied. They will be updated when switching to another Storage Place to always show the last visual state. 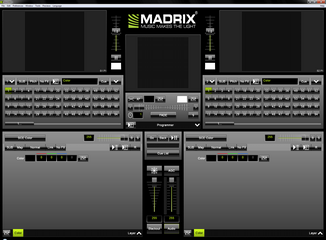 MADRIX features a special Touch Screen window to control the software via a touch screen panel. You can set up certain options for this extra panel. ▪ All options of User Interface will be saved locally on your computer. 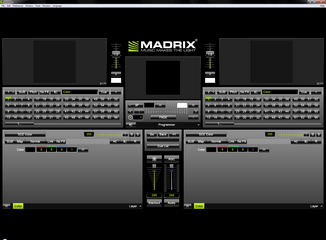 The settings described in this topic will not be saved in your MADRIX Setup file.